I really love Monte Cristo sandwiches and thought we might be able to transform it into a pizza. Prepare pizza dough as directed. Spread strawberry preserves over the dough. Layer ham and turkey over the dough. Sprinkle with shredded cheese and bake as directed. Serve with a dusting of powdered sugar. I thought it was really good, but my hubby didn't like it too much. He peeled the cheese and meat off and ate it, but left the jelly and crust behind. 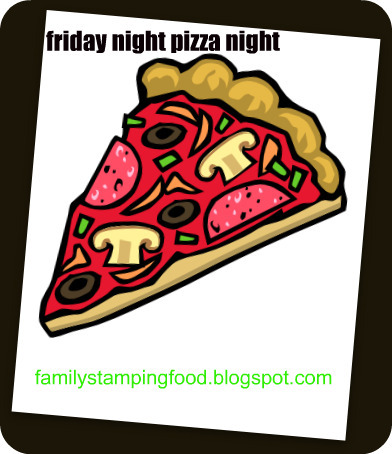 Have a great Pizza Night with your family! Gotta love your husband's honesty! :) My guy is meat and potatoes too - he probably would have done the same thing! They need us though - to keep things interesting! I've never heard of Monte Cristo sandwiches! What an interesting pizza idea!